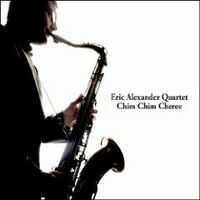 Description: Eric Alexander is one of the most popular and respected tenor saxophonists of his generation for his strong sonority, solid technique and honest, straight-ahead sensibilities. His collaborations over the years with the Japanese label Venus Records have been very fruitful, producing numerous albums including the very popular "Gentle Ballads" series. His eagerly awaited latest Venus release is a tribute album to John Coltrane, a daunting task for any saxophonist. While his sound and style (straight-ahead and soulful) may not resemble those of Coltrane on surface, Alexander says he is profoundly influenced and inspired by the tenor legend. While he studied Coltrane's music extensively, he made conscious efforts to develop his own sound. Coming full circle, Alexander finally made this powerful album, tackling Coltrane's compositions and tunes strongly associated with him with confidence and in his own terms. His usual bandmates--veteran pianist Harold Mabern, bassist John Webber and drummer Joe Farsworth--provide appropriately inspired and propulsive support. This is a highly charged, electrifying album by the top tenor saxophonist of our time. Highly recommended! Produced by Tetsuo Hara & Todd Barkan. Recorded by Anthony Ruotolo at The Avatar Studio in New York on October 3, 2009. Mixed and mastered by Venus Hyper Magnum Sound Direct Mix: Tetsuo Hara.